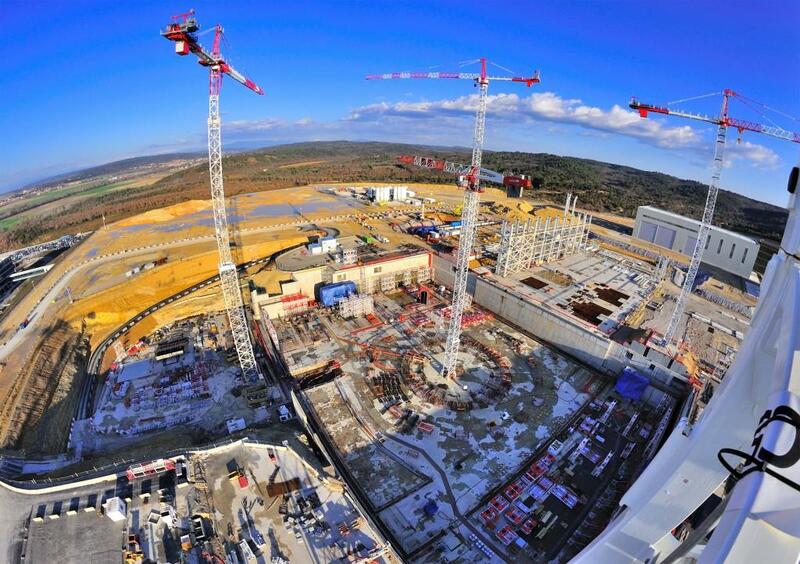 Whether manufactured/assembled in the Poloidal Field Coils building (red, at right), assembled in the Cryostat Workshop (grey, centre), or transported along the heavy haul road (far left), the ITER components will be cleaned and pre-assembled in the Assembly Building, whose steel structure is under construction in the centre of the image. 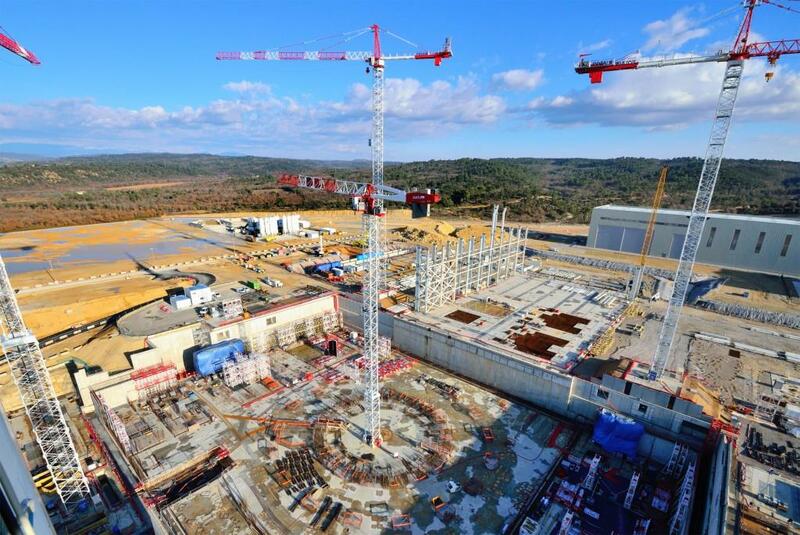 To the right of the image, what is currently an empty lot will be filled by the ITER cryoplant and magnet power conversion buildings. 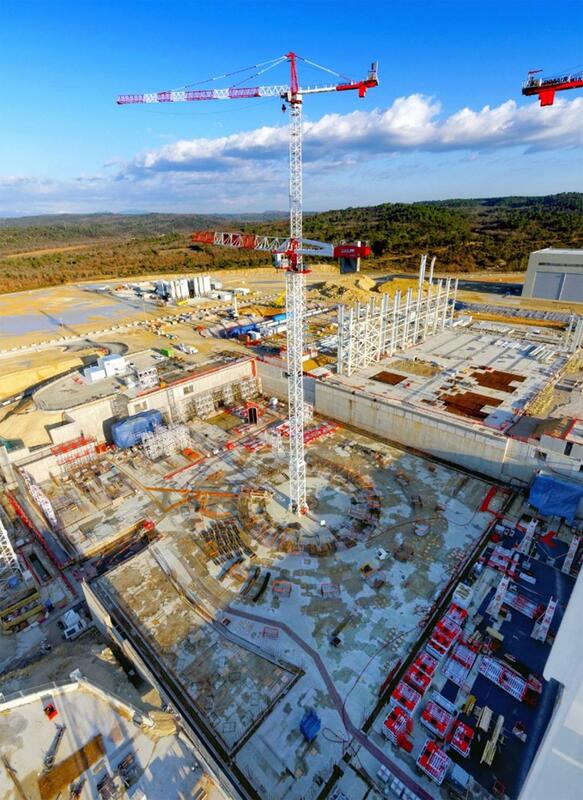 The 42-hectare ITER platform is filling up. 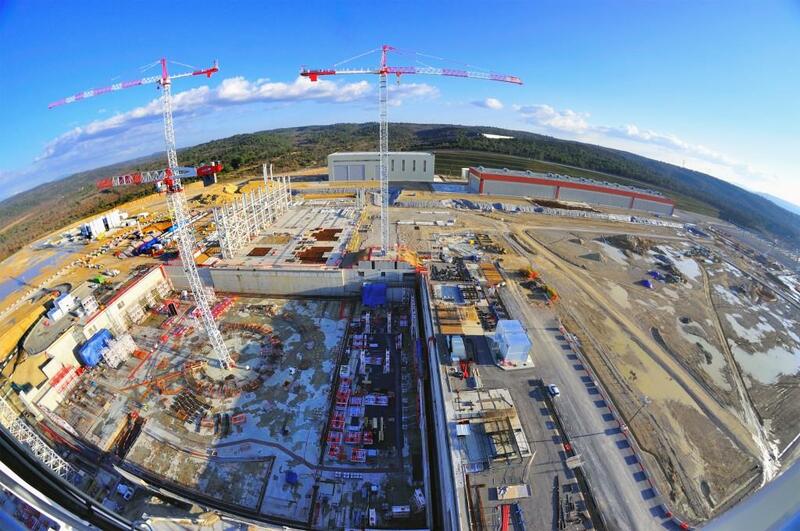 As the basement-level walls of the Tokamak Complex are created, work is about to start on some of the auxiliary buildings of the Tokamak Complex—the Radio Frequency Heating facility, the Control Room, and the Site Services Building. 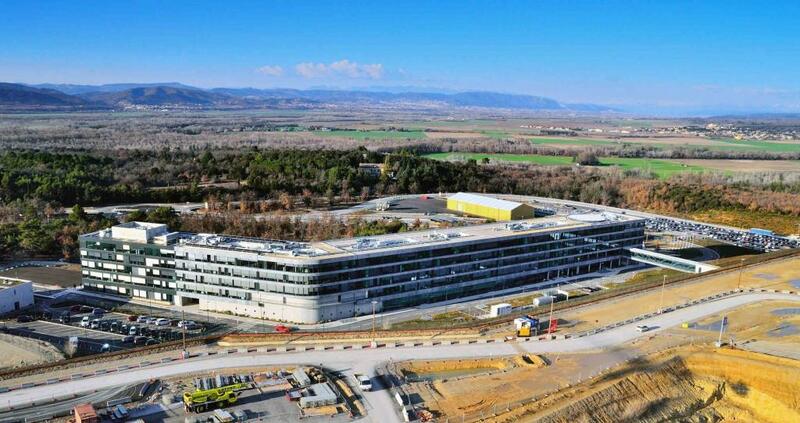 The ITER Headquarters building seems to mark the frontier between two worlds: the rural countryside of upper Provence and the steel and concrete reality of the ITER Project. The recent extension to the building is clearly visible to the left; behind the building, a yellow warehouse (one of four temporary storage facilities) is also visible. Parked just in front is the 87-tonne electrical transformer that was delivered on 14 January.